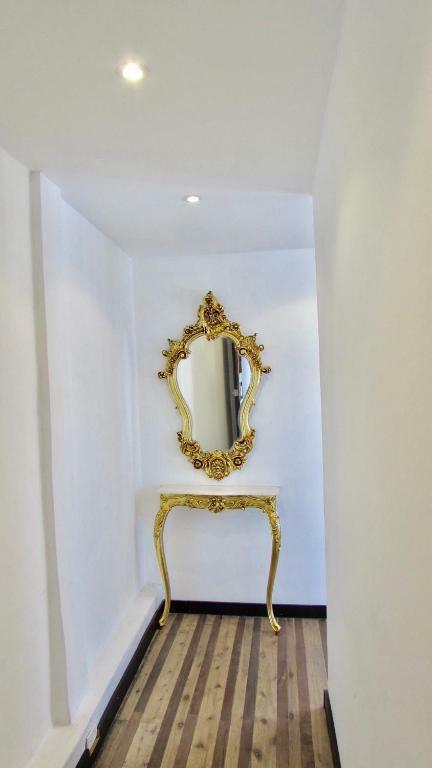 Room space and location. 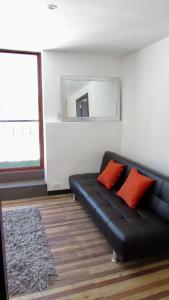 Overall is a very cheap place for the space if you want to stay with many people, note that the bathroom is small. But it has a great location where u can walk to the historic center. 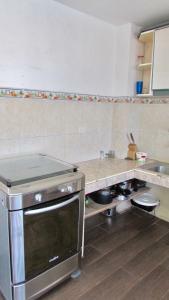 The Location is excellent, very central and within walking distance of most attractions. The host Gabriel was very pleasant and picked us up from the airport at 1am. The accommodation is small, but perfect for two people. It can get very noisy at night so bring earplugs. 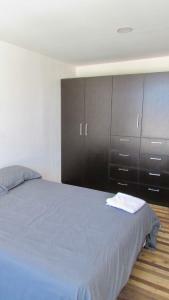 It is central and the place has a kitchen and it has both a double bed and single bed. Breakfast is included. Friendly staff. 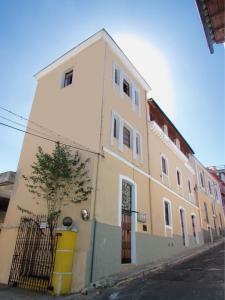 The property is in the historic part of the city and a few feet away from public transportation-Ecovía. It is in a safe neighborhood. Doña Carmita cooked us a delicious breakfast each morning. 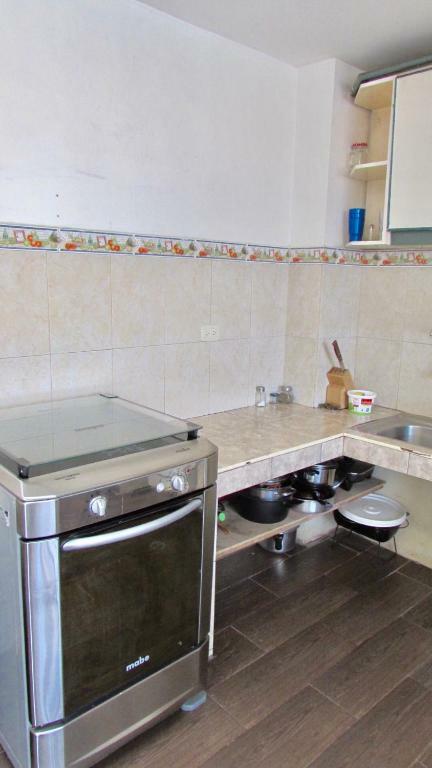 The suite was actually an apartment with 2 rooms- one with 2 full size beds and the other full size bed a dining table and a small kitchenette with small stove, small fridge and more than enough plates, pots and utensils to make a meal. Mrs Carmen was great. She came nearly everyday to make us fresh breakfast! The hosts were very nice and helpful. They supplied our ride to and from airport. We had a great time. The location is great, there are lots of shops and restaurants around. The suite is big and the view from the balcony is very nice. The owners were very friendly and helpful in guiding us with various needs such as places to go and transport to the airport. Internet access was quite fast, but it did not work on all devices. It did not work on the laptop and at one point it stopped working on a cell phone (out of 6). After restarting the AP all the devices connected well, but after a while it stopped working on the laptop again. 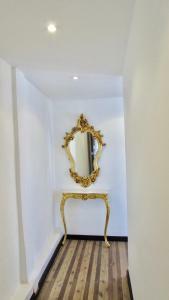 One of our best sellers in Quito! 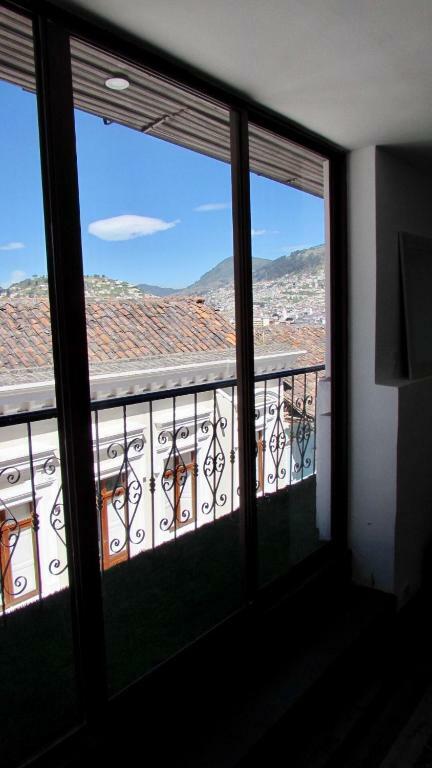 San Blas House & Suites has well-equipped accommodations featuring free WiFi in the Centro Histórico of Quito, a 12-minute walk from Sucre Theatre and one mile from El Ejido Park Art Fair. Units come with a flat-screen TV, a kitchen with a dining area, and a private bathroom. Some units include a terrace and/or balcony. Bolivar Theatre is a 20-minute walk from the apartment. 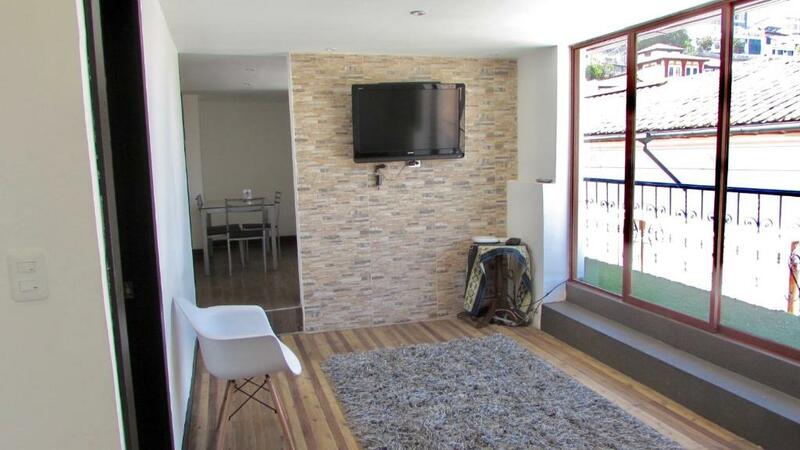 뀐 Located in the real heart of Quito, this property has an excellent location score of 8.3! 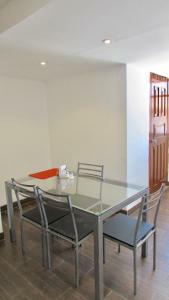 When would you like to stay at San Blas House & Suites? This studio has a balcony, view and microwave. Public parking is available on site (reservation is needed) and costs USD 5 per day. San Blas Suites, nace como su nombre mismo lo dice en el tradicional barrio de San Blas, destacado por ser un barrio de alojamientos, ya que su estratégica ubicación permite a los huéspedes caminar a las atracciones del centro histórico, al mismo tiempo tiene acceso a un fácil y completo sistema de transporte que les permite conocer el norte de la ciudad. 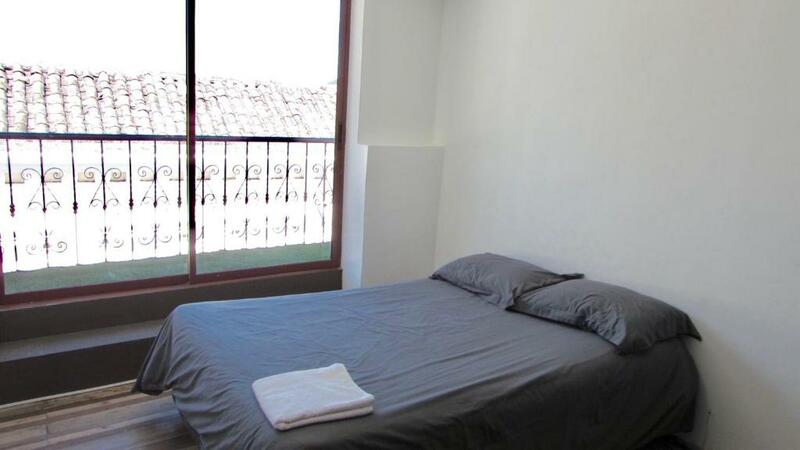 Soy un aventurero que le gusta viajar, y recibir una buena experiencia en mis hospedajes, con esa misma filosofía ofrecemos en San Blas Suites más que una relación simple de huésped, asesoramiento y guia a nuestros huéspedes para tener una experiencia única en su tiempo en Ecuador. El barrio cuenta con tradicionales restaurantes, bares y cafeterias, moderno gym, iglesia y su parque central iluminado que encanta en las noches. Area Info – This neighborhood is a great choice for travelers interested in architecture, churches and museums – Check location Great location - show map Guests loved walking around the neighborhood! 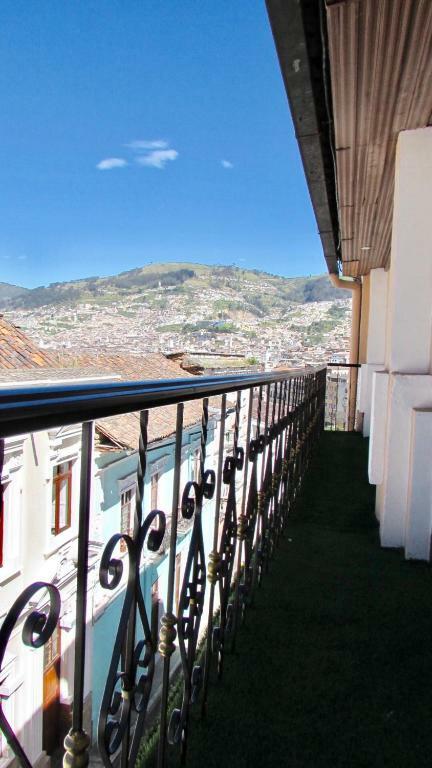 Quito's historic center is one of the most well-preserved old towns in all of Latin America. Indigenous traditions influence the Colonial architecture here. House Rules San Blas House & Suites takes special requests – add in the next step! San Blas House &amp; Suites accepts these cards and reserves the right to temporarily hold an amount prior to arrival. San Blas House & Suites accepts these cards and reserves the right to temporarily hold an amount prior to arrival. 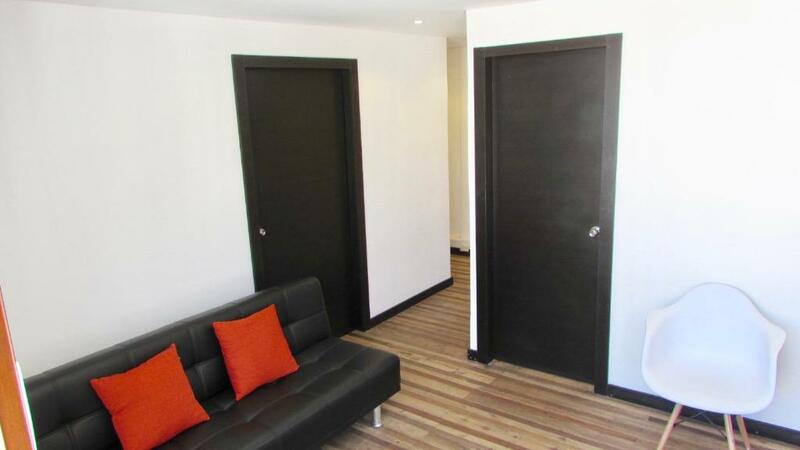 Please inform San Blas House & Suites of your expected arrival time in advance. You can use the Special Requests box when booking, or contact the property directly using the contact details in your confirmation. 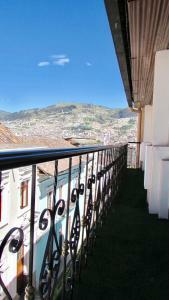 One of the most picturesque neighborhoods in Quito! There was a smell as we entered the premises, I had an allergy there were spiders all over . The bathroom was too small and it did not drain water . I paid for for nights but I spent 3 nights there. We looked at the reviews and everything seem it very nice.... BUT we didn't get breakfast the second day and the first day they hand out a bag with milk, two eggs and two breads (website said that breakfast was ready to eat and delivered at the appartement) so far the guy whom handed out the key to us didn't know that breakfast was included in our 2 night Stay!! ;, noisy girls live on the second Floor and of course we couldn't sleep the first night. And to make it worse we had to wait 2 hours under the rain to get the keys!!! So in other words our stay was horrible. Bathroom was the worst, a bad smell emanating from the toilet or tub. Also the kitchen smelled weird. Very small shower. Tv controller didn’t work at all. Waited in the entrance for about 25 mins and had to go look for someone to find me the receptionist so i could get in. If it says “early check in priority “ don’t trust it, had to wait till 12 P.M. also “late priority check out”. Don’t trust it. 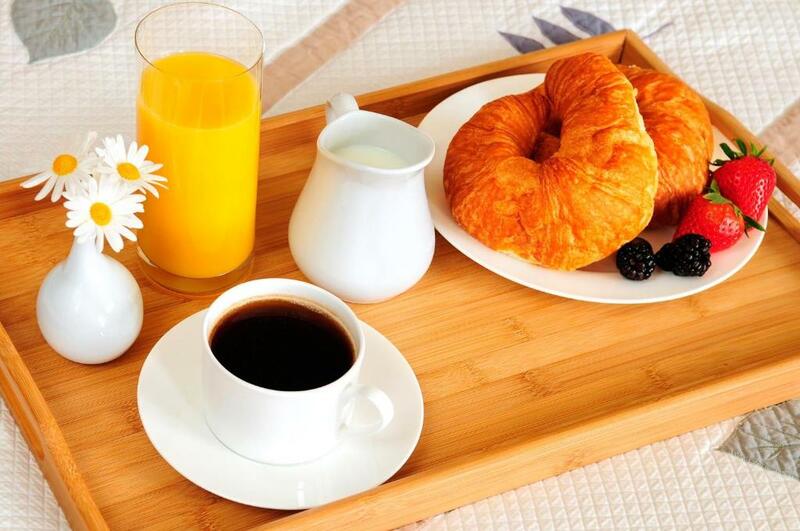 don’t rely on breakfast its almost insignificant and not that much of variety. Listen This... had a problem where i booked a room, even had confirmation # and the next day they tell me it isn’t available and that i have to stay in the cheap room i was already staying, BUT had to pay the price of the expensive room since i already did the book... Unbelievable. I had to fight for some time to be able to pay for the price of the room i was staying and not the room i was supposed to stay. Very irresponsable and not being caring with their costumers. After that they where all sweet... just try to be very alert and have evidence of things when staying here. U might find urself in a unexpected situation. Impossible to get the shower to work properly - 100 years old. Basin not attached to wall - so water outlet not connected - all over floor. bathroom is small,bath equipment should be improved. The owner wasn't around to answer our questions. The place was not very clean and it would be nice to have more furniture in the living room. The room is on a third floor with steep stairs (there is no elevator), which is not suitable for people with problems climbing stairs. The breakfast is pretty basic: egg, milk, cheese and coffee. 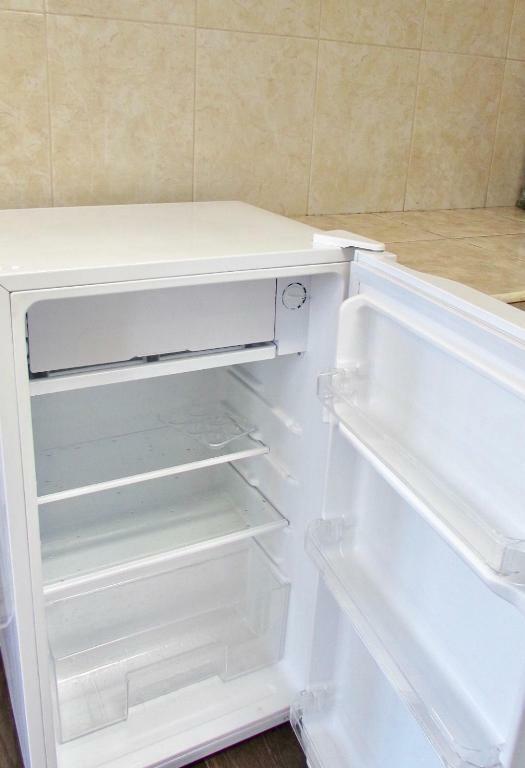 Without fruits or juice. There is no place to have breakfast, but they prepare it in the room or one prepares it on their own (they give the supplies). The stove worked at 50% and we were not warned, which meant that we could not use it the first morning (the lady who prepared it could not arrive that day). The shower is very small. We had to buy basic items like toilet paper and paper towels. In the place there was nobody to ask him directly. The cleaning was not so good, upon arrival we found garbage from previous guests in the beds. No cleaning was done during the stay, although we noticed that they entered the room in the day (we found more trash on the floor).